"I enjoy Chinese culture, Chinese food, and I like to work and hang out with Chinese people, I'd like to get to know more about China as a country," said Denis Simon, an American and executive vice chancellor of Duke Kunshan University. 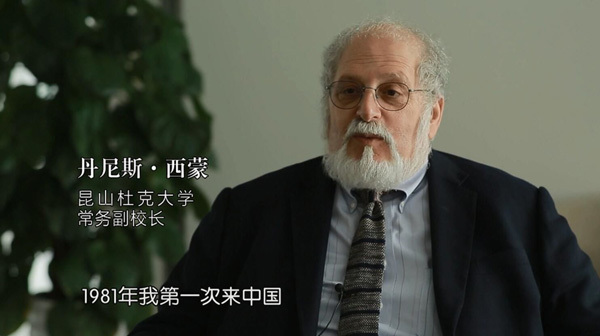 Having first come to China in 1981, during the initial stage of China launching its reform and opening-up policy, Simon said his living and working in China has coincided with the country implementing the national scheme. "For me, China is like a second home," Simon said. He received a Chinese Government Friendship Award in 2006, the highest honor granted by the country for foreign experts who have made outstanding contributions to China's economic and social progress. "Both China and the United States need people who understand one another and can serve as kind of interpreters, whether it's for political, business or academic leaders." 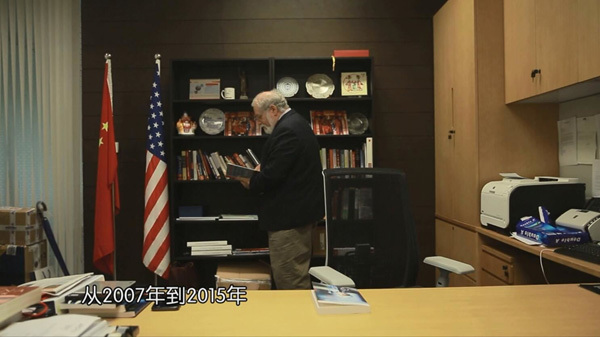 Staying true to his ideas, Simon joined the Duke Kunshan University in 2015, a Sino-American partnership of Duke University and Wuhan University which is erected in Kunshan city, Jiangsu province. Accredited by the Ministry of Education in 2013 and having welcomed its inaugural class of graduate students and undergraduate exchange students in August 2014, Simon regarded the school as still a young and innovative body, which combines the latest American educational ideas and China's outstanding student resources. The school has gathered nearly 400 students pursuing their bachelor's and master's degrees there, making it a hub of future professionals as well as equipping the city with international knowledge-based talents. "Some people might have thought, well, why didn't you go to Shanghai, Beijing or even Shenzhen?" For him, Kunshan has its unique factors that these metropolises cannot match – its well integrated onto the world stage, its attraction to investments from Taiwan, Hong Kong, South Korea, Europe and the US, and its pivotal role among the global supply chain. "Kunshan is my most satisfying choice at the moment," said Simon, claiming that he has blended effortlessly into local life in Kunshan and is exploring new opportunities for development with students and teachers. 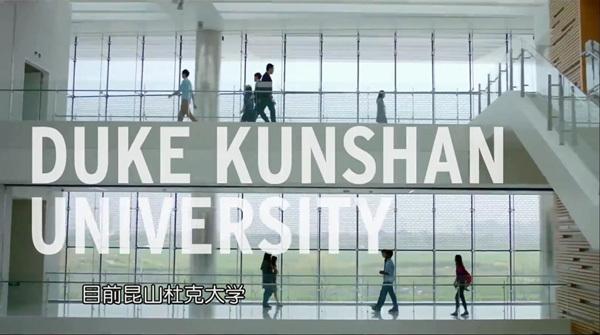 Seeing the university becoming an important part of life Kunshan and gradually becoming a talent hub, Simon said the school will eventually bring in some 180 professors, faculty members and researchers, forming part of a high-end talent pool to live and work here in the Kunshan area. "When Duke took on this project, it wasn't seen as a three-year or five-year commitment, but more likely a 50- or a 100-year commitment. I sincerely hope that in some 100 years, I would see this university not only in operation, but it will have expanded its facilities, grown the number of students and faculty members, and achieved the status of being a world-class higher learning institution," Simon said.